Every year technology changes. The question is always should be move as fast as it does. Regarding smart thermostats, the answer is yes. The year of 2018 has ushered out some of the best models to invest in, yet. If you considered it before, you might want to look into three ideal options. 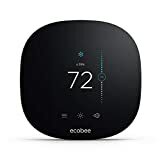 The ecobee4 Alexa-Enabled Thermostat with Sensor is the newest option from Ecobee. The exciting technology is Alexa compatible and controls your heating and cooling system with a touch of a smartphone app. The third version of this Google-owned thermostat has a larger and sharper display than its predecessor. 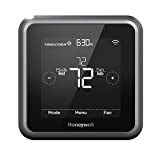 The Honeywell RTH8580WF Wi-Fi Thermostat is a less expensive smart thermostat. 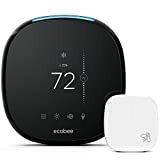 Yet, it still has the features you need to control your boiler, as well as the rest of your heating and cooling system. The newest model even has voice recognition making it feel more yours than merely an appliance. Nest Thermostat and Security Camera Bundle is Nest’s new exciting entry into the world of smart thermostats. Everyone tends to rank Nest’s systems at the top of their lists. With the addition of security, automation of multiple layers of appliances makes it too appealing to ignore simply. The best smart thermostats are generally easy to install. However, skills technicians are always on call waiting to walk you through step-by-step on how to fit your new system and the aspects that you want to utilize with your new system. A screwdriver and a weekend are all you need to install and enjoy your new smart thermostat. The 2018 models have more specs than 2017 models and directly allows you to control your boiler as well as other aspects of automation. Welcome to the future! Some of the smart home options can be a little pricey. Especially when they have to conform to Apple HomeKit’s strict security standards. If you’re looking for something a little less pricey, but with all the electricity saving and customization features, there are plenty of options for you. The Bosch BCC100 Thermostat utilizes a touchscreen, which makes it appealing to many. It may not have all the bells and whistles as most, but it will begin the journey to automation of your home. Bosch is considered a mid-level system, but often that is all someone needs. A cheaper version of a smart thermostat is the Honeywell Lyric. The geofencing is the feature that draws many to the less costly version. It knows when you are in the area of your home so it can turn on and off what you have programmed it to do. It includes controlling your boiler. Honeywell is known for their less pricy thermostats. The Honeywell Lyric T5 has a few more bells and whistles than the Lyric, but not as expensive as the Nest or Ecobee. One of the fun, additional features of the Lyric T5 is the reminders to change your air filters. One less thing to worry about, right? We at Protect America pride ourselves in the ability to provide services that range from step by step instructions to questions. No question is deemed silly or frivolous. Moving with technology is often hectic and Protect America is here to make the transition easier.